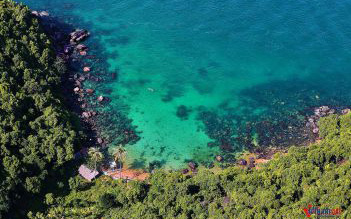 North and South of Phu Quoc full day tour is a special offer to discover the pearl island for 1 day. 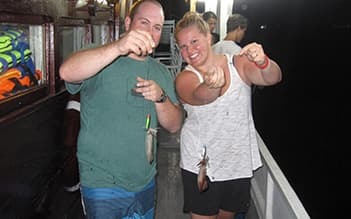 With our tour, you will have a memorable day to visit Sao beach, National Park,Fish Sauce Factory, Phu Quoc Dog Farm,....Especially, it is very interesting in enjoying sim wine - specialty of Phu Quoc. - visit local Sim Winery and sample some local wines, it known to ferment by natural ingredient. - On way a stopover a guided tour of the island oyster harvesting and process of pearl and the making of fine design jewelry. - Not far away we will stop and Coconut Tree prison which is a historic site where POW where kept in tiger cage. - Our next stop to one of the most important sauceingredient in Vietnamese and Asian Cuisine: the making of Fish Sauce. 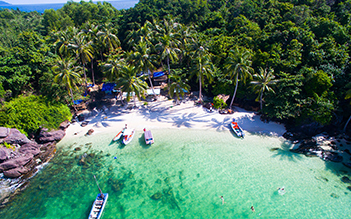 - We will relax and enjoy lunch at one of the local restaurant your option either at ( Bai Sao Beach) famous for white sands and turquoise water -or- (GanhDau Beach) known for its the pristine beaches and tranquil surround. 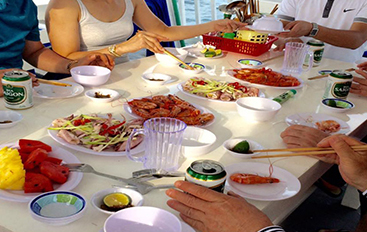 - Continue our visit to Ham Ninh Fishing Village famous for the fresh seafood, shellfish and shallow water and observe the daily life of the fishermen. - Nearby is a hidden trail to Tranh stream where we can explore the waterfallsNOTES:Tranh Stream is only available during the month of (May to Oct) . - We will visit Pepper Farm harvesting and PhuQuoc Dog Farm Reproduction of the famous Ridgeback Dog. 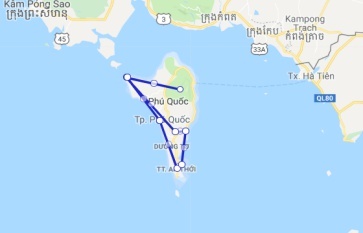 - After this, the driver will drive from the South Side to the North side of the Island. 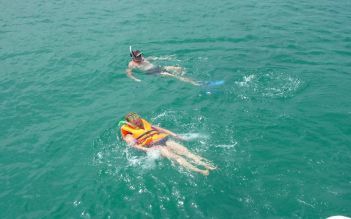 - Our first stop GanhDau Cape, lie the pristine beach and explore its tranquil surrounding and nice view. 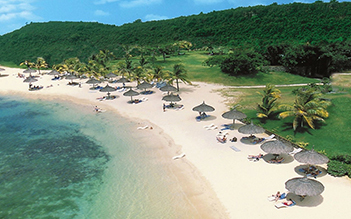 Free time to explore, relax, swims or just lie under the sun. - On our way back our last stop at the Bee Farm – where organic honeys are produce.